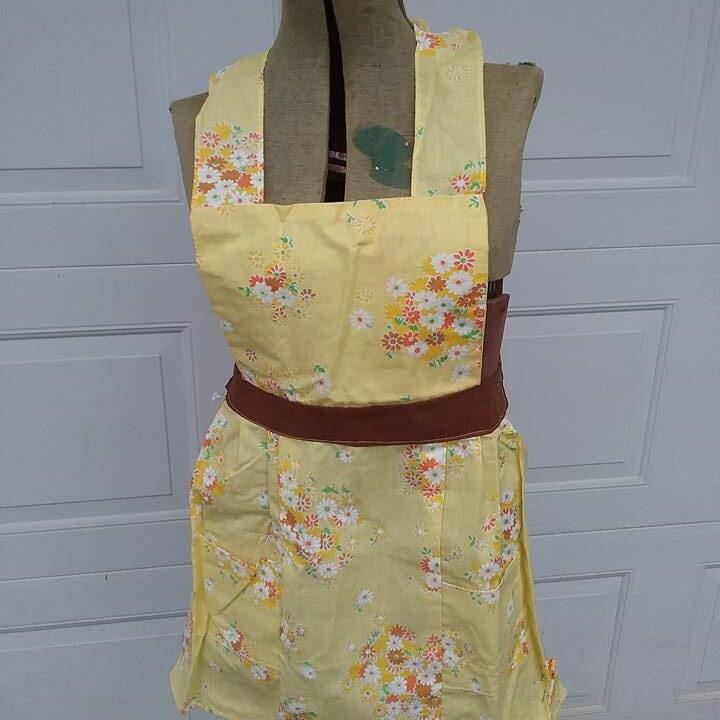 Vintage pinafore full apron. 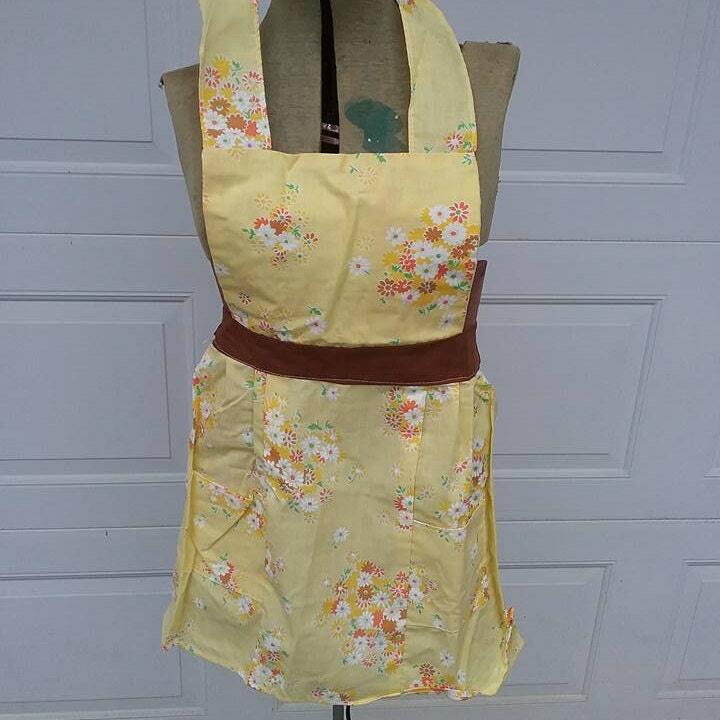 Retro yellow, floral smock style apron. 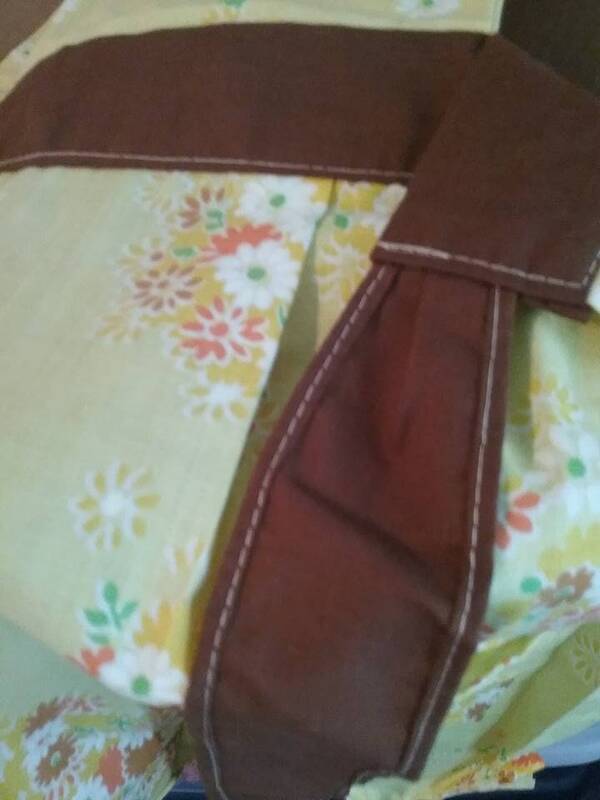 Two pockets and brown sash and ties, compliment the yellow material with white, orange, and brown daisies. 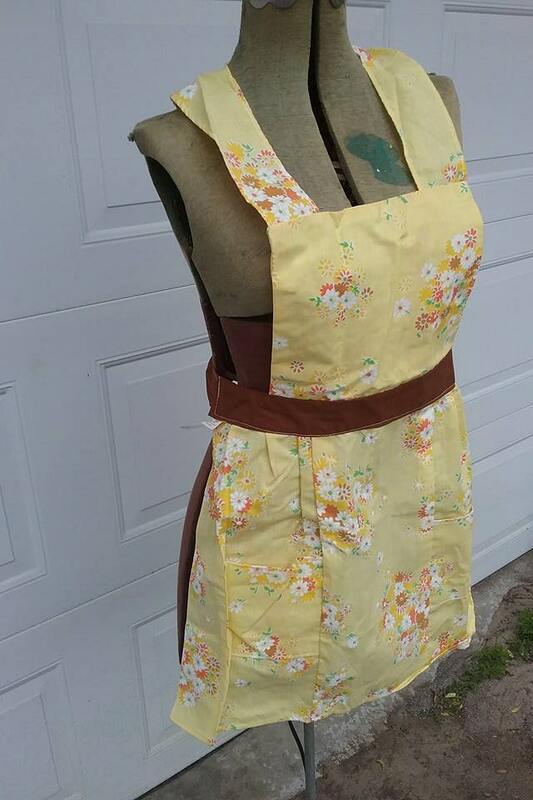 Excellent vintage condition, will add beauty to your retro kitchen, Over the head bib and side ties and sash, the poly/cotton material, allow for comfort fit from size small to extra large. 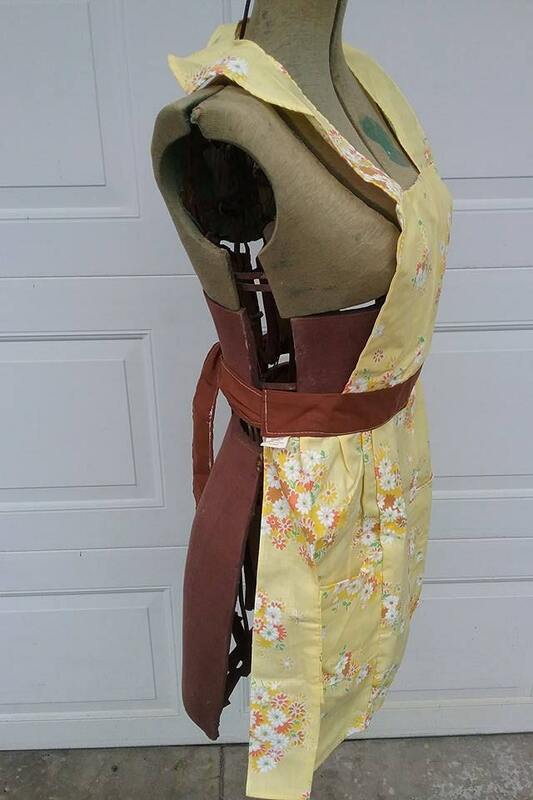 15" from bottom of waist sash to bottom of apron, and top of sash to top of bib is, 8". 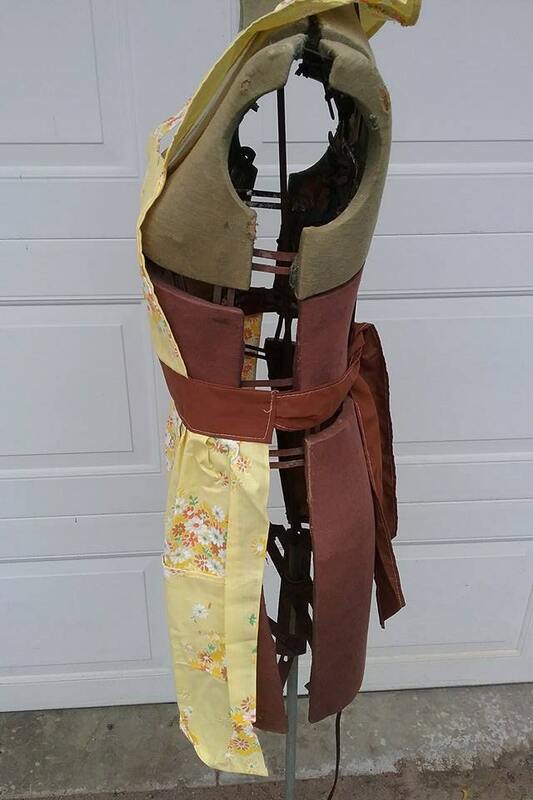 Neck is approx 12" diameter., 22" tie on either side. 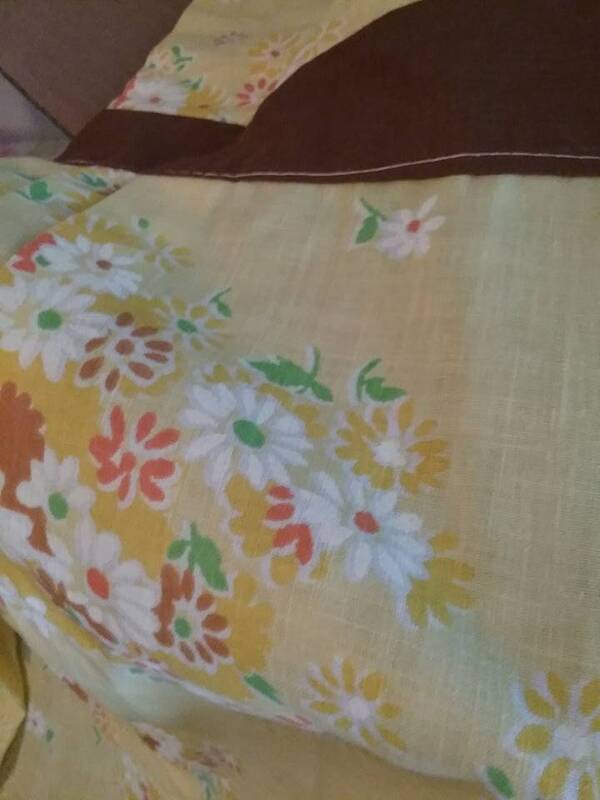 Dare to wear...vintage.